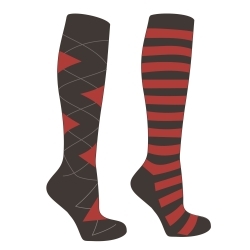 Mark Todd Ladies Socks (set of 2) 1-size, now available in a knee length and mid length version. Both styles feature a padded footbed that continues up the heel and to the nape of the calf. Ideal for wearing under long boots, chaps or gaiters.